We are home from our wonderful Thanksgiving vacation. We took the train to Florida this year. Griffin has always wanted to take the train somewhere, so Mike booked us a private room on the Amtrak headed south. It was certainly an adventure. I'll share more about that in later posts. It was so much fun getting to spend time with family. Lots of quality time. Who could ask for anything better than that? We enjoyed two wonderful Thanksgivings with family and friends. The first one at my mother-in-law's house with a huge gathering of family and friends. It was so nice to see everyone. Many of my side of the family was able to join us this year. I ♥ that! My mother-in-law and her fiance Tony announced their engagement to everyone. We all toasted them with mimosas. Thanksgiving day we were able to celebrate again with a more intimate group. My brother Jerome, sister-in-law Bonnie, nephew Scott and his fiance Liz. It was so relaxing just to relax, eat and enjoy each other's company. That evening we were joined by Pop & Nana. We even got to spend a super fun day in Kissimmee/Orlando with our dear friends Fred & Judy. Judy made yummy bbq ribs on the grill, corn on the cob, yellow potatos and a special side of mac & cheese for Griffin. We dared to try to visit the outlet mall in Orlando. Big mistake! Then we tried the Florida Mall. I had to visit the Disney Store to pick up a special gift for Griffin. I'm thinking that was not the best idea to attempt on Black Friday. Griffin enjoyed a surprise while we were away ... he discovered his first loose tooth. He's soooo excited! He can hardly wait until it comes out and he can leave it under the pillow for the tooth fairy. He also got to go fishing for the first time with Daddy in Grandma's pond. I can't believe he's almost 6-years-old and this is the first time he's ever gone fishing. He LOVED it! Mike and Griffin enjoyed some very special father/son time flying. Of course Daddy was pilot (Mike has his private pilot's license) and Griffin was buckled in to be co-pilot. All geared up and ready to go ... doesn't Griffin look like an "official" pilot here? ... and there they go! Aren't the fall colors beautiful on the trees? Mike said Griffin had alot of questions and alot to say on the flight. The last one he barely said a word. After their flight it's time to tie the airplane down. Griffin is giving Daddy direction to the tie down. And here's my heart ... Mike and Griffin. From personal experience I know growing up with only one parent is life changing. So life changing in fact, the "before" that parent died are memories I do not really have. It's funny though ... so many of my extended family members are sharing pictures and stories I am "almost" remembering. I'm hopeful this memory fog will lift and suddenly I will be overwhelmed with memories. So many times I've wondered "what if" she had lived. How would life have been different? Would I be different in any way? Don't get me wrong ... I had the best Daddy in the whole entire world. He was an awesome Dad. But sometimes I do wonder ... what if. 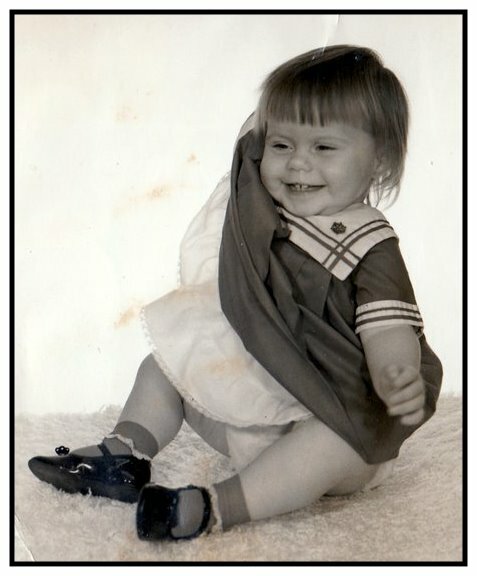 This is a one-year-old me. Looks like I was a silly little girl. My sister shared the pictures I am posting today. Of course I do not expect to remember being a year old. But I love seeing this picture. This is a picture of Momma ... she looks so elegant in this picture. This is a picture of Daddy. This picture is just so "him". He loved that red Ford pick-up truck. He always wore a baseball hat too. It was usually an Atlanta Braves hat. So even though I do not have the memories in my head it's nice to see these in pictures. Thanks to Facebook I've been able to take a little walk down memory lane. I guess I'm feeling nostalgic this week because I just want to share all these pictures. Pictured is my Momma Syble Powell Hutto, my sister Joy, my brother Jerome (Hut), me in the purple dress and my cousin Beverly in the yellow dress. 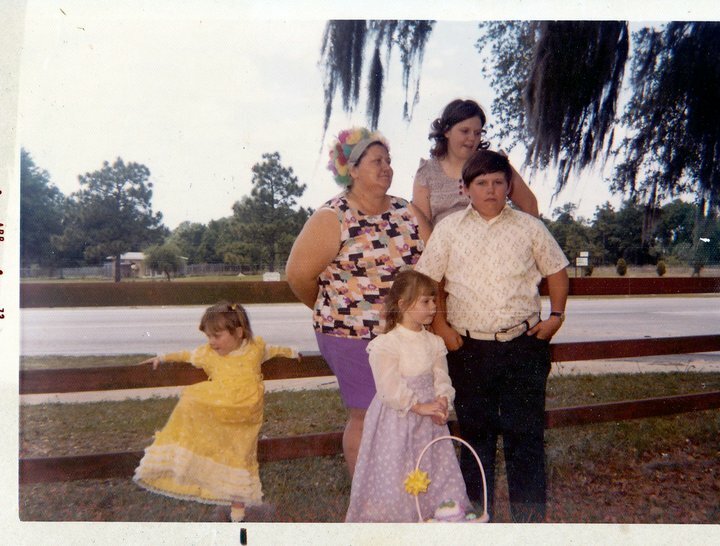 It was Easter Sunday 1973 at Christina Park in Lakeland. 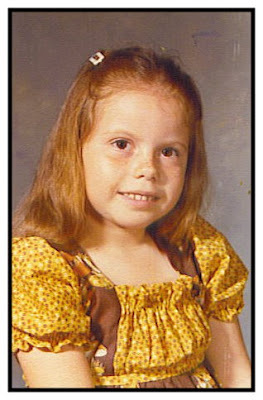 I was 5 1/2 years old. The exact same age Griffin is right now. I'm thinking I was probably in 1st or 2nd grade in this picture. I've asked Margaret to see if there is a date on the back of the picture. Momma made that dress for me. She made alot of my clothes. I do remember this dress because I loved the mushrooms on it. Thank you Margaret and Rodney for the sweet reminder. ... and the leaves come dancing down. Our friends came over the other day and the boys enjoyed playing in the leaves. I love this time of year ... the leaves dancing down from the trees is one of my FAVORITE things to watch. Funny how the boys can be entertained with just a bunch of leaves and each other. mmmm ... wonder what's on his mind. That's what I thought ... time to throw leaves at Mommy! Doesn't he look all grown up in this picture? He's going to be taller than me before we know it! See that little red wagon? It has been around forever! I love that the kids still like to play with it. Thanks Sybil, Phelan and Lukka for joining Griffin and me on this beautiful fall day! 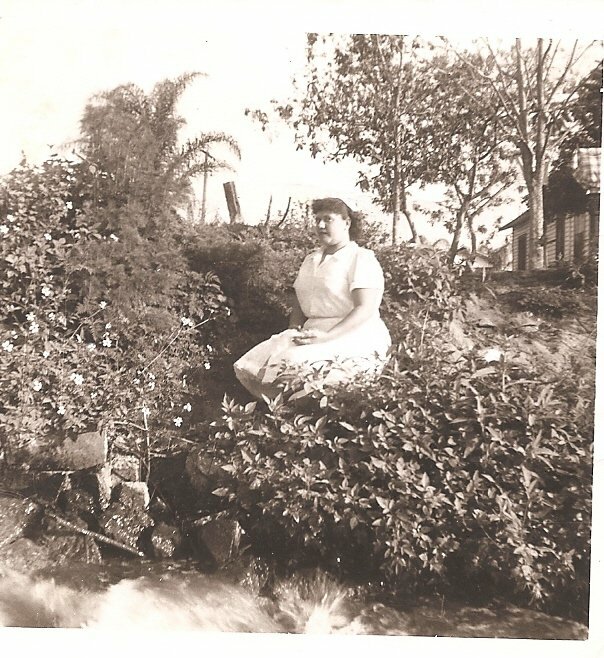 Another picture of my Momma my cousin Timmy shared with me. I wish I knew when this was taken. Now it's crystal clear that scrapbooking and documenting is very important. Growing up I feel like I didn't know most of my mother's side of the family very much even though they lived in close proximity to us. After she passed away I'm not really sure what happened but we just didn't see them very much. Of course my Uncle and Aunt that lived behind us we saw often. They had three daughters and we were all close in age. My father's side of the family lived in Alabama and I think we may have visited them once or twice that I can remember. So in reality I know next to nothing about them. So, it's so wonderful now to be part of the Facebook community. I have reconnected with many of my cousins and it's wonderful. 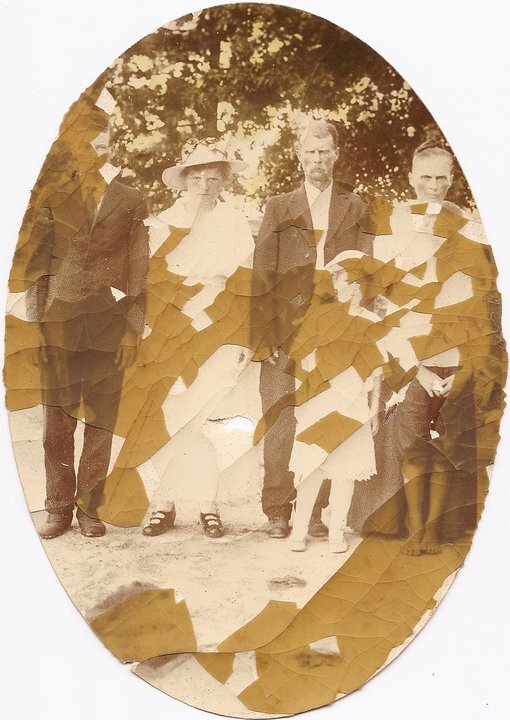 My cousin Tim has researched our family tree and he has shared so much information and pictures. This is a picture that he shared with me this morning. It's from September 22, 1919. On my Grandparent's wedding day. Richard and Bessie Mae Powell. They are pictured with my Great Grandparents George and Lucy. 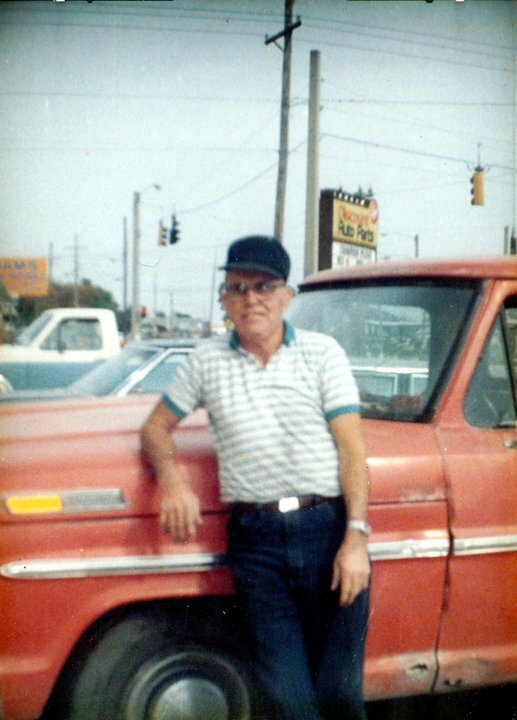 My Grandaddy Richard died in the 1950's, even before my brother Jerome was born. My Granny Bessie lived until 1977. She lived a year longer than my Momma did. When Timmy sent this picture to me I had chills. It's so wonderful to FINALLY know things about my ancestors. I've learned some things about my Momma too that I never would have know. They may seem like silly things to care about but it's allowing me to know more about the woman my Momma was. For instance, in some of the pictures Tim has shared other cousins have commented the dress Granny is wearing is the dress Momma bought her for Grandaddy's funeral. In another someone made a comment about Granny having a telephone. They said that Momma had the telephone put in for her. See, things that demonstrate what a kind, loving person she was. 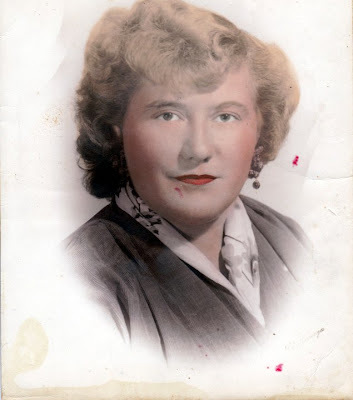 My cousin Pam made a comment the other day that I remind her of Momma. That just made my day. It fills me with love and pride to know that I may have just an inkling of the woman she was inside of me. I thank God everyday for the blessings he has provided me and for the ability he gave me to get to know my extended family. Sunday morning it was time for pumpkin carving! Griffin absolutely, positively wanted to do it "all by himself". He wanted no help at all from me or Mike. The top is off of mine ... and Griffin is taking a look inside at all the "pumpkin nuts" ... that's what he calls the seeds. And then I let him go ... to create the pumpkin that HE wanted to create. I searched online for a skeleton to carve. Griffin LOVES skeletons. Not because of the "scary" factor but he loves ANYTHING to do with the body, organs and how we work as humans. I'll have to share all about that in another blog. So anyway ... that's what my pumpkin was SUPPOSED to look like. Here you see the small pumpkin Griffin decorated at Kaitlyn's party on Saturday night. The pumpkin Griffin carved into a traditional jack-o-lantern. He decided he did need a little help after all. But it had to have a "scary" smile. And then you can see my attempt at carving a skeleton into my pumpkin. Not that great, but I did give it a try. Sunday we carved our pumpkins ... Griffin wanted to do his all by himself. Watch this quick video of him in action.